Planning a princess party? 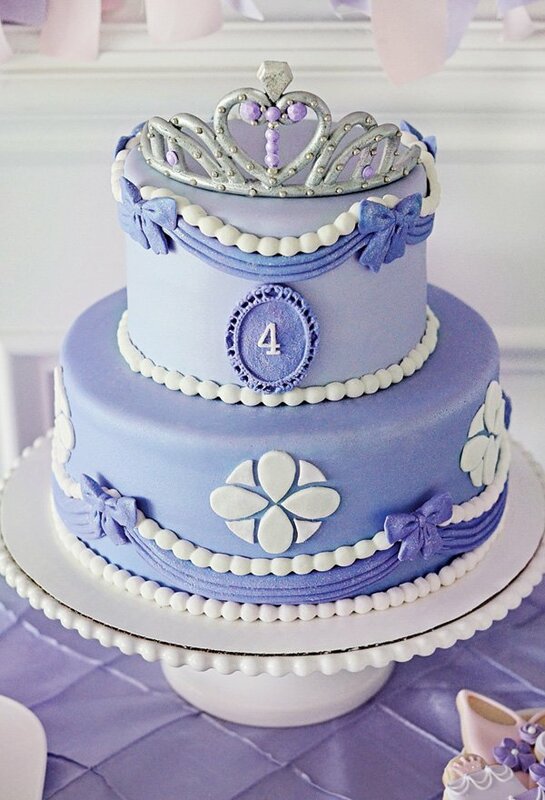 Since it’s one of the most popular birthday party themes, we wanted to share a few of our favorite princess cake ideas. Make her birthday wish come true with one of these fairy tale cakes. This Australian bakery produces nothing short of amazing work. The stunning gold fondant crown was a perfect addition to a gorgeous lilac buttercream rosette cake made for princess Tiana’s birthday. THE INSIDE SCOOP: You can create your own custom crown using the Baroque Silicone Fondant & Gum Paste Mold. Use the jewel-like border to form the base and fleur de lis shapes to create the intricate detailing along the sides of your crown. Wrap fondant pieces around a round object (a large canned food item works great!). Attach each piece using Gum Paste Glue. Finish with Gold Color Mist Food Color Spray. Design Credit: Caking It Up Bakery. Photo Credit: Blooming Images Photography. We love the intricate detail work of this corseted fondant Princess Dress Cake. Bliss Pastry did a wonderful job of weaving in realistic details, shown through the soft flowing fondant skirt and beautiful buttercream string corset top. THE INSIDE SCOOP: Add a beautiful sheen with shimmering Orchid Pink Pearl Dust and Lilac Purple Pearl Dust. Design & Photo Credit: Bliss Pastry. Shut the front door. This Princess Castle takes the cake…to a whole new level (2 stories high to be exact). THE INSIDE SCOOP: You can make this cake using the Romantic Castle Cake Set. It comes with plastic “turrets” to transform a 2-tiered cake into a magical castle cake. Cover them with any color fondant to decorate. Design & Photo Credit: Shawna of McGreevy Cakes. If your little girl loves Hello Kitty, then this princess cake is perfect for her. Fondant-covered cakes are punched up with heart-shaped cutouts, featuring the birthday girl’s name and age. A simple bead border adds extra visual interest and a handmade Hello Kitty cake topper is the crowning jewel of this princess cake. THE INSIDE SCOOP: Use a decorating brush, a mixture of lemon juice and Gold Pearl Dust to paint on shimmering accents like you see on the crown and number 5. Photo & Design Credit: Erica Obrien Cake Design. Simple and sweet, this Pink & Gold Princess Birthday Cake is absolute perfection with a dash of pure sophistication. And we love that the gold princess silhouette showcases the birthday girl’s age. THE INSIDE SCOOP: Use the edible Gold Metallic Candy Paint Brush to achieve the “drip cake” technique shown. Design & Photo Credit: Kara of Kara’s Party Ideas. Is your little girl obsessed with Sofia the First? Then, your daughter will absolutely LOVE this princess cake. THE INSIDE SCOOP: You can get matching Sofia the First party supplies, like cupcake liners, cupcake toppers, treat stands, birthday candles, edible cupcake toppers and treat bags at Wilton. Photo Credit & Photo: Emily Klaparda of Hostess with the Mostess. Another sophisticated beauty, the one is down-right regal. I mean… Without giving away my age (I’m just a tad too old for princess birthday parties), this cake has my name written all over it. From the stunning gold grown and gum paste flowers to the edible glitter tier and pearl sprinkle-encrusted diamond pattern on the 2nd tier…it is 100% S-T-U-N-N-I-N-G. THE INSIDE SCOOP: Make these flowers and other beautiful varieties using the Gum Paste Flower Cutter Set and Ready-to-Use Gum Paste. Design & Photo Credit: Simply Sweet – Cakes & Cupcakes. Talk about impressive. What’s not to love about this Vintage Glam Princess 1st Birthday Cake. Love, the antique-style gold crown cake topper and matching fluer de lis on the top tier. The ruched fondant tier adds depth and dimension. A true classic, everyone loves the old fashioned princess doll cake. The best part is you can use any character your daughter likes. 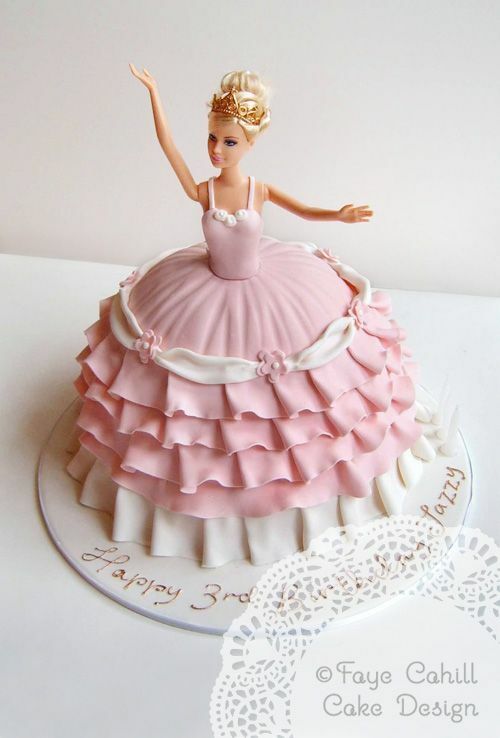 Popular doll cake themes include everything from the Disney Frozen Elsa doll cake and other Disney princess’ to Monster High doll cakes and more. THE INSIDE SCOOP: It’s easy to make custom doll cakes at home using the Wonder Mold Doll Cake Pan Set. Design & Photo Credit: Faye Cahill Cake Design. Let us know what you think. Which princess cake do you like best?